It is the policy of the Lenoir ABC to prohibit anyone 16, 17, 18, 19, or 20 years of age from entering our stores. Children under the age of 16 may enter our stores, as long as they are accompanied by a parent or legal guardian. It is the policy of the Lenoir ABC Store to immediately check the ID of any young person, as soon as they enter our store. An entire group of people can be refused if any member of the group is underage or unable to produce an acceptable form of ID. In accordance with North Carolina ABC laws, a customer may only purchase up to eight (8) liters of alcohol (distilled spirits) from our stores without a transportation permit. With a transportation permit, the customer may purchase up to forty (40) liters of alcohol and subsequently transport their purchase within the State of North Carolina . 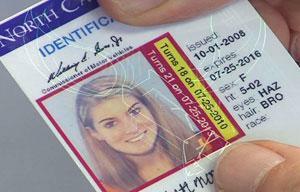 A transportation permit is issued free of charge at the store, and is valid until 9:30 p.m. on the date it is issued. If you need a permit on the day of the purchase, you can obtain an additional permit by returning to one of our stores and advising us how much you need to relocate. Our sales associates are unable to provide "blank" permits to patrons. Transportation permits are also available (and necessary) when purchasing large quantities of wine. The quantity limits for fortified wine are the same as the aforementioned limits described for alcohol (distilled spirits). However, a customer may purchase up to twenty (20) liters of unfortified wines without a transportation permit and a maximum of 100 liters with a transportation permit. Customers planning to purchase large quantities of wine may obtain a permit from an ABC store at no charge. Note: A permit is not required for the purchase of beer. However, a person cannot legally purchase more than 80 liters of beer per transaction, except in kegs. For additional statutory information on ABC Board policies, please see the North Carolina Alcoholic Beverage Control Commission. Q: How many local ABC stores are there? A: The Lenoir ABC Board has only 2 retail stores. Currently there are numerous ABC stores belonging to 156 different ABC boards in North Carolina, all carrying a variety of different products, including special gift packages and mixers. A: We accept Cash (USD), MasterCard and Visa. Debit Cards associated with MasterCard and Visa, Discover Cards, plus Lenoir ABC gift certificates are also accepted. Q: What are the normal hours of operation? A: All ABC stores are obligated to open no earlier than 9:00 AM and close no later than 9:00 PM. It is important to note, however, that some stores operate on reduced hours within the 9:00 AM - 9:00 PM time frame. Q: Where can I find the phone number for a specific ABC store? A: Feel free to contact us. For your information, you'll find the Lenoir ABC Board contact information not only on each webpage, but also in AT&T/Bellsouth's White Pages listed under "Lenoir Abc Store No 1 & Lenoir Abc Store No 2." Q: Do the local ABC stores operate on Sunday and holidays? A: ABC stores are under legal obligation to remain closed on Sundays and specific holidays, and no ABC store employee shall sell alcoholic beverages on these days. Holidays include New Year's Day, Independence Day, Labor Day, Thanksgiving, & Christmas. 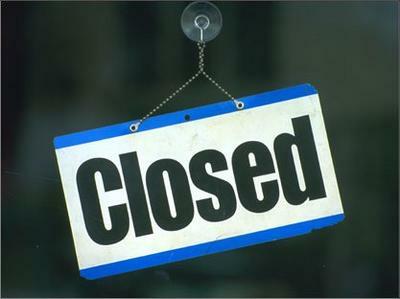 A local board may otherwise determine the days on which its stores shall be closed. A: Both Lenoir stores are closed on the holidays listed below. NOTE that if the holiday falls on a Sunday, then the stores are also closed on the following Monday. Q: Can local ABC stores have "sales" and offer spirituous liquor at discount or below the next ABC store prices? A: No. 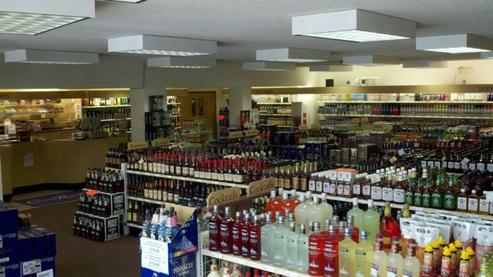 The retail price of spirituous liquor sold in North Carolina ABC stores shall be uniform throughout the state. A Price Book is published and distributed every February, May, August and November, and all stores are required to use the established prices. There are monthly discounts on selected items. In addition, we periodically discontinue brands, and offer these items at discounted prices. Check your nearest Lenoir ABC Store for current specials. Q: Can spirituous liquor be sold in grocery stores and other food marts? A: In North Carolina, spirituous liquor may ONLY be sold in local ABC stores operated by the local ABC Board. Q: What if you don't stock a product I would like to purchase? Q: May I return or exchange a product? A: No, the Lenoir ABC Store policy offers NO returns, exchanges or refunds once the product has left the store, unless it is tainted or spoiled. In this case, we will accept the nearly full container and provide you with a replacement. Q: What are the top selling spirits? A: Most popular spirits in Lenoir include: 1) Vodka 2) Canadian, Bourbon, Tennessee, & Blended whiskeys. 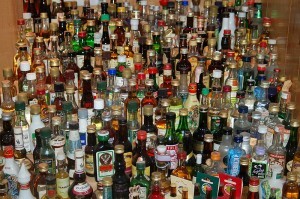 (Tequila & Rum sales increase in summer months and Brandy & Scotch sales increase in winter months). Q: When do I need a special permit to make purchases at an ABC store? Q: What do the Lenoir ABC Stores do with empty cardboard boxes? A: Lenoir ABC Stores offer its empty boxes to the public, based on a first come first served basis. Any remaining boxes are brought to the local government recycling facility. Check with the store nearest you for the availability of boxes. Q: What does ABC mean? Q: What is a local ABC Board? A: A local board consists of a Chairman and from 2-6 Members, depending on size, appointed by their city, town or county governing authority. The Lenoir ABC Board is composed of a Chairman and 2 Members appointed by the Lenoir City Council. Q: Are the local ABC Boards part of the ABC Commission? A: No. In North Carolina ABC boards are local political subdivisions of the State. 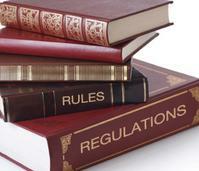 Boards operate as separate entities following Commission recommended policies, procedures and guidelines. Q: Does the ABC Commission have authority over the local ABC Boards? A: Yes. However, the local ABC Board retains authority to set policy and adopt rules so long as it conforms to ABC laws & Commission rules. Q: How many local ABC Boards are there? A: Currently there are 156 ABC Boards. In some cases ABC Boards are organized as city-approved ABC Boards, instead of operating as a county-wide system. Q: What type of sales are allowed in my area? A: Legal alcohol sales (to include mixed beverage sales, ABC Stores, and beer and wine sales) are determined at the county and town level by local elections. Q: What is a commercial permit? A: A commercial permit is a license issued to an individual or company at a specific location allowing for the manufacture, importation, bottling, distribution, transportation or representation of alcoholic beverages. Q: What is the difference between fortified and unfortified wine? A: Fortified wine means any wine, of more than sixteen percent (16%) and no more than twenty-four percent (24%) alcohol by volume, made by fermentation from grapes, fruits, berries, rice, or honey; or by the addition of pure cane, beet, or dextrose sugar; or by the addition of pure brandy from the same type of grape, fruit, berry, rice, or honey that is contained in the base wine and produced in accordance with the regulations of the United States. A: Unfortified wine means any wine of sixteen percent (16%) or less alcohol by volume, made by fermentation from grapes, fruits, berries, rice, or honey; or by the addition of pure cane, beet, or dextrose sugar; or by the addition of pure brandy from the same type of grape, fruit, berry, rice, or honey that is contained in the base wine and produced in accordance with the regulations of the United States. Q: What is a retail permit? A: A retail permit is issued to a person or persons or to an entity at a specific location allowing for the sale of alcoholic beverages. Q: Who gets the monies collected from ABC permits? A: All fees collected from the ABC permit system are deposited with the State Treasurer. Q: What is a field audit? A: An ABC Commission auditor or audit team may conduct an audit of the financial records of permit holders who are located in various locations within the State of North Carolina who serve alcoholic beverages in their establishments. Q: How do I open an ABC Store? A: Individuals cannot open liquor stores in North Carolina. Towns and counties have elections for an ABC store. The town and county appointing authorities then appoint board members whose responsibility it is to establish the ABC store.